HOUSTON — Tens of thousands of cargo ships, tankers, container ships and cruise liners belch noxious sulfuric gases and fine particles that drift over cities and cover them with smog. It is not a pretty picture, but it is one that may change in January 2020 if a decision by the United Nations International Maritime Organization to strictly limit the amount of sulfur in maritime fuel is fully carried out. That is a big if, because shippers have been slow either to make the switch to higher-quality fuels or install expensive equipment known as scrubbers to clean exhaust from what is known in the industry as “bunker fuel.” Oil companies are also watching and waiting, as few have upgraded their refineries to adapt to new regulations. Methods of enforcement are also still an open question. Billions of dollars in investments are potentially at stake, since the global demand for high-sulfur fuel amounts to more than three million barrels a day out of the 100-million-barrel-a-day market, according to industry experts. Some economists say they believe that prices could be pushed higher when refiners reduce the production of diesel and jet fuel to produce greater quantities of cleaner marine fuel. Other analysts say the market disruption will be modest, in part because initial enforcement of the new rules may be weak. It has been two years since the United Nations agency firmly established the 2020 deadline to reduce the sulfur content of maritime fuels to 0.5 percent from 3.5 percent, and all major global ports and shipping terminals have committed to using low-sulfur fuels. The new regulation will not have a significant impact on carbon emissions, but public health experts say a reduction of sulfur gas emissions will reduce smog and avert millions of cases of childhood asthma. One big container ship can emit as much sulfur in a year as millions of vehicles. Shippers can switch to low-sulfur fuels, installing scrubbers that remove exhaust from high sulfur fuels or switch to cleaner liquefied natural gas. But all three options have disadvantages. Cleaner maritime fuels can cost $250 a ton more than high-sulfur fuels, which can mean an additional annual expense of roughly $3 million for a large vessel, a significant added cost in the typically low-margin, low-profit shipping business, according to market reports. A few shippers, particularly cruise ship companies, are building ships that can run on cleaner liquefied natural gas. But they represent only a tiny fraction of the industry, because installation is expensive and refueling infrastructure still needs to be built in many parts of the world. That is bound to change over the next two decades, analysts say, and the new regulations could be a catalyst. “L.N.G. is going to be the future,” said Ram Vis, chief executive of Viswa Group, a company that tests maritime fuels and manufactures scrubbers. Dr. Vis said in recent months he had noticed a jump in scrubber orders. But he added that it would take years for an estimated 30,000 to 40,000 ships to be outfitted with scrubbers because there are only about 30 manufacturers of the equipment worldwide. Scrubbers can cost $5 million to $10 million apiece including installation, according to the Energy Intelligence group. Dr. Vis said they could take at least 15 days to install, requiring downtime for ships. So far, a small percentage of the global fleet has converted, industry experts said. 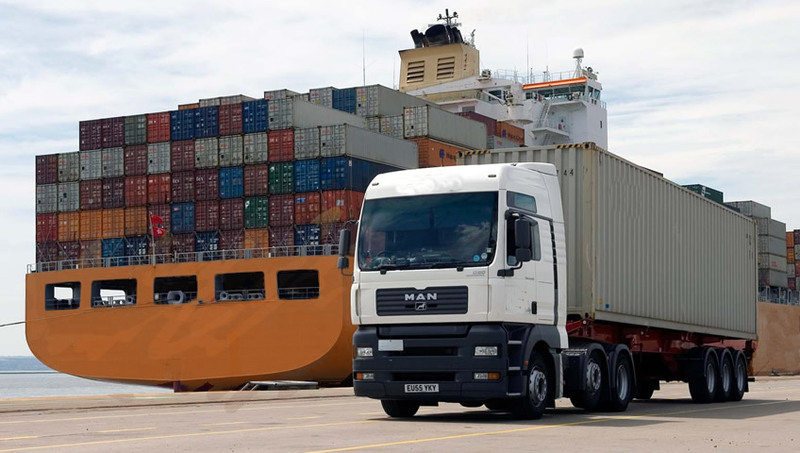 Shippers may be reluctant to switch because they are concerned that international emissions regulations may be toughened again and that their investment will be wasted. That leaves the refiners with challenges. The pitch-black and molasses-thick bunker fuel they produce comes from the dregs of refined products. The refiners are not technically included in the new regulations, but they will need to adjust to a new market. Refining low-sulfur fuel requires additional processing, requiring expensive plant refitting in many operations. American refineries, which are generally the most sophisticated, are in a strong position to refine more low-sulfur fuel. Chinese and Korean refiners will also be ready. In the meantime, Russian, European and Middle Eastern refiners may need to scramble and make expensive adjustments. Refiners will be forced to accommodate the expected new demand for cleaner maritime fuel by transferring oil that otherwise would have gone to producing diesel, jet fuel and heating oil, tightening the market for those fuels and raising prices. “You are going to have to borrow from Peter to pay Paul,” said Tom Kloza, global head of energy analysis at the Oil Price Information Service. He said sophisticated American refiners, including Marathon Petroleum, Valero, Phillips 66 and Exxon Mobil, would profit from the market change. “It’s going to be a magical 2019 and a very profitable 2020,” he predicted. There still remains the question of how the new regulations will be enforced, since the United Nations agency does not have enforcement powers. That leaves the policing tasks to port states and flag countries like Panama, which registers vessels but may not be aggressive about monitoring and enforcing rules far from their borders. Shippers may have to be careful about the loss of insurance coverage, reputational damage and stiff fines if they are caught. Analysts predict that at least 5 percent to 10 percent of shippers will cheat. 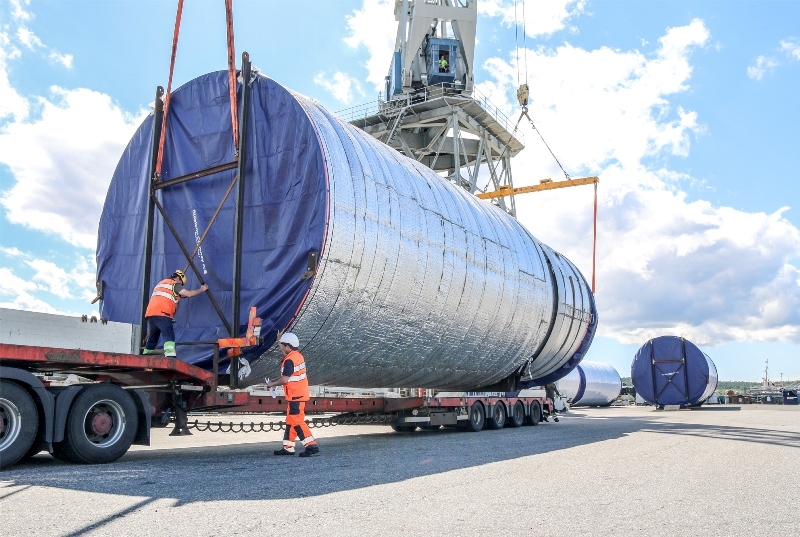 ITALY – The Port of Venice has handled its largest ever load, a colossal project freight forwarding job consisting of two hydrocracking reactors, each weighing 1,535 tonnes and measuring 60 metres long. Made by heavy engineering equipment manufacturer, ATB Riva Calzoni, the reactors are, according to the company, amongst the largest ever made in the petrochemical sector and bound for its destination, the first Nigerian refinery in private hands and owned by Dangote Refining. The stage in which the reactors were transported from the facility to the quay was conducted by Fagioli spa which, to meet the load-bearing limits of the ground, used a 72-axle SPMT (Self-Propelled Modular Transporter) putting together convoys of as much as 60 metres long, 8.5 metres wide and 10 metres tall for each load. (ANSAmed) – NAPLES, OCTOBER 17 – The vice minister for infrastructure and transport, Edoardo Rixi, has suggested easing taxes for companies implementing effective sustainable measures given the delicate objective of preserving the environment, during a speech on new rules regarding shipping emissions to become effective in 2020. The environment was at the center of the ninth edition of Shipping and the Law, the annual congress of ship owners held in Naples and organized by attorney Francesco Saverio Lauro, who is specialized in maritime law. During the two-day event, Italian ship owners confirmed their intention to work in this direction, as stressed by Emanuele Grimaldi, vice president of the International Chamber of Shipping (ICS): ”We are strongly engaged – he said – in cutting ship emissions, contributing to the decarbonization of the sector. With the UN International Maritime Organization (IMO), we have worked to reduce by 50% emissions from now until 2050. But in this period, maritime traffic is expected to double, which means emissions will have to be only 25% of current ones. In order to do this, we work on research and development, putting all new solutions on ships”. Grimaldi noted that ”our sector does not represent a problem but an opportunity: ships travelling today on highways of the sea have Co2 emissions that are one-fifth of those of road vehicles and half of rail transport”. Leading representatives of the international and Italian maritime industry gathered in Naples, including the president of the European Community Shipowners’ Association (ECSA), Panos Laskaridis, the emeritus president of ECS and Greek ship owners, John C. Lyras, the president of Confitarma, Mario Mattioli, as well as experts like Leo Drollas, chief economist of the think tank of former Saudi oil minister, sheikh Yamani. 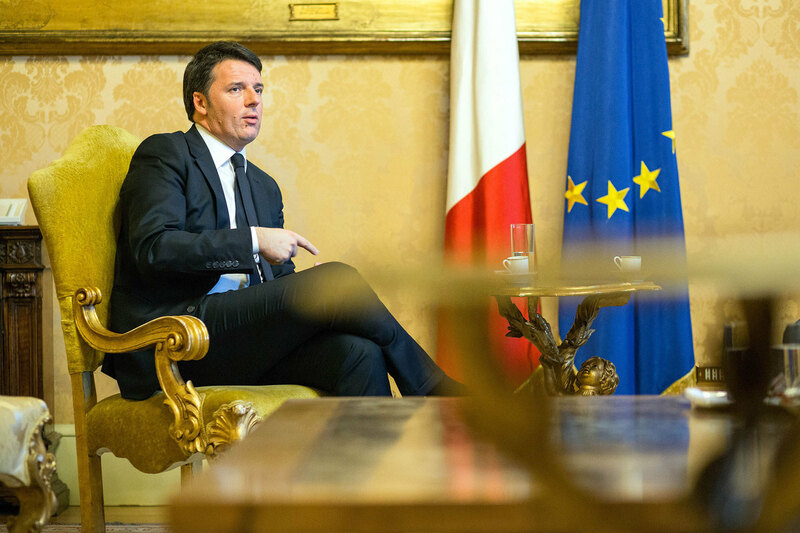 Lower House Speaker Roberto Fico opened the conference. ”The blue economy – he said – is fundamental, there are huge challenges that must be confronted on the recycling of ships, employment and salary dumping. 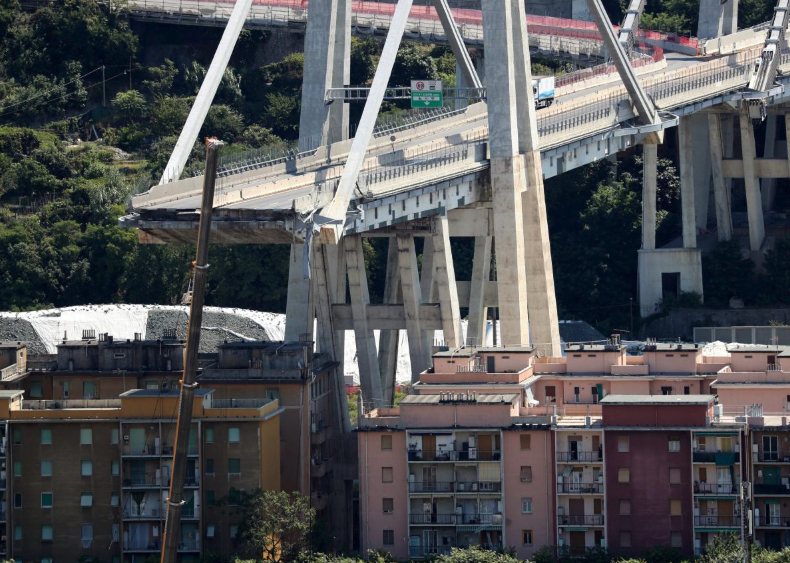 It is important to talk about this in Naples, a key city for international shipping. This sector must be at the center of the economic life of the South, given that the European Union is also giving it growing attention: maritime companies have grown over the past five years by some 8% compared to a 1% drop in the total number of companies. Ten companies of the blue economy out of 100 are led by managers under 35 years of age, 20 in 100 by women and six in 100 by foreigners – data above the national average”. Higher labor costs in China and political pressures were supposed to drive U.S. manufacturers to bring production home. We’re still waiting for that to happen. There’s been plenty of coverage in recent months about U.S. manufacturers vowing to relocate offshore production back to this country. The rising cost of factory labor in China is one major factor. So are efforts to convince American companies that domestic production is a patriotic requirement. According to the latest Reshoring Index from A.T. Kearney, however, we haven’t seen a significant surge of reshoring from Asia. In this conversation, excerpted from an episode of The SupplyChainBrain Podcast, A.T. Kearney partner Patrick Van den Bossche offers some insights into why the reshoring trend has yet to materialize in any major way. And he discusses what must happen for that shift to become more than a collection of anecdotes. Q: According to the latest A.T. Kearney Reshoring Index, there were record volumes of imports from traditional offshoring countries in 2017. Did that come as a surprise to you? Van den Bossche: It was a little bit of a surprise. With all the talk of “Made in America” and bringing jobs back, we thought that this time around we would see a bit of a reversal. We had seen a glimmer of hope when we did the Index in 2016 — it was just slightly starting to tilt to positive. So we were hopeful, but unfortunately what we saw this time around is that imports of manufactured goods from the 14 countries that you would typically associate with offshoring actually grew by 8 percent in 2017. They rose by an all-time high of about $55bn. That’s the largest one-year increase that we’ve seen since the economic recovery of 2011. By comparison, U.S. domestic manufacturing output grew only 5.6 percent. We can feel it growing — there’s a good economy, manufacturing jobs are up — but imports are growing faster. Q: Did import growth from those 14 countries occur across a broad base of industries? Van den Bossche: Yes. We looked at manufactured products only, but it’s across industries. Let me take time here to explain what our Reshoring Index is, and how it’s calculated. When we first launched the Index, we saw a lot of publicized evidence for reshoring that was largely anecdotal. It seemed like there was a lot of wishful thinking and political agendas at work. Rather than base our conclusions on surveys of executives, we wanted to separate the hype from the reality. So we came up with a way of putting a numerical value on reshoring. What we do is look at imports of manufactured goods from 14 Asian countries — China, Taiwan, Malaysia, India, Vietnam, Thailand, Indonesia, Singapore, Philippines, Bangladesh, Pakistan, Hong Kong, Sri Lanka and Cambodia. We compare that with U.S. domestic gross output of manufactured goods. We make it dimensionless, so that we factor out the effect of the overall strength of the economy. We look at what we call the manufacturing import ratio — the ratio of imports from offshoring countries to U.S. domestic gross output. Then we look at the year-over-year change, and that gives us an indication of whether we’re making more stuff here, versus continuing to import more from offshoring countries. Q: What was the first year you created the Index? Van den Bossche: The first time was 2014 — that’s when we started putting it in the press. We had been tracking some things anecdotally since 2011. Q: In each of those subsequent years, have you seen a steady increase in the amount of offshore manufacturing? Van den Bossche: Yes. We even back-calculated it a few years. Between 2011 and now, there have only been two years when it slightly dipped into the positive. In all the other years, we’ve seen faster growth in imports than in domestic gross output. So that reshoring wave that was supposed to start back in 2011 really never took off. In fact we continue to see more and more product coming from those offshoring countries. Q: Why is this the case? What were the factors that have led to this result? Van den Bossche: It’s a demand-and-supply story. We’ve seen a pretty decent economy. Consumers have been in a spending mood. Things like the Economic Optimism Index have been on a tear. At the same time, wages haven’t been moving up that much. So people are still looking for a bargain. Unfortunately, that means you’re buying products that are cheaper because they’ve been made offshore. On the supply side, even U.S. companies that have reshored over the past few years have been reluctant to invest too much. When we looked at this in 2015, we noticed that about 70 percent of the companies that did some reshoring actually brought it back to existing facilities. They preferred to de-mothball equipment, versus investing in new capital equipment. We’ve seen a small increase since the second half of last year in capital goods investment. But that didn’t come on line quickly enough to make a difference in the 2017 numbers. And there’s a supply shortage as well. Q: So why aren’t companies making more here? Van den Bossche: The labor cost gap is still significant. Even after several years of 10-20 percent annual labor-cost increases in China, other Asian countries have stepped up — Vietnam, Cambodia, Philippines — and we’ve seen imports from those locations increase quite a bit. Their labor costs are more comparable to what they were several years ago in China. Which means that any product with labor-intensive manufacturing processes is still more economical to produce in low-cost countries. You can ship it back at a reasonable price, because ocean freight costs have remained manageable. The only way you can start to make up for that cost differential is if you’re doing significant automation. But that requires hefty capital investment, and we’ve not really seen that yet. Q: We were told a few years ago that a major shift of production to Southeast Asia wasn’t likely to happen, because there’s no way those smaller countries could scale up manufacturing operations anywhere near to the level of China. That doesn’t seem to have been an issue. Van den Bossche: There’s an industry component to that. In some industries, such as electronics, the ecosystem of suppliers is critical. That’s difficult to replicate in Southeast Asia, but a lot of stuff that requires more manual production, such as textiles and apparel, has moved over there without much of a problem. Q: For production that is coming back to the U.S., is it utilizing people or machines? Some believe the biggest culprit in lost American manufacturing jobs hasn’t been offshoring, it’s been automation. Van den Bossche: We see a mixed bag there. Like I said, when we looked at this in 2015, companies that reshored weren’t investing a lot in new equipment. They were just bringing old equipment back online. In some cases, they had to pull people out of retirement because nobody was available to operate the equipment anymore. In the last two years, there’s been a little more of an appetite for investment, in the form of automation. I think we’re going to see that trend continue, but it’s going to require skilled labor. That’s probably the biggest challenge right now. There aren’t enough people to do the kind of work that’s required. Q: There’s the notion of the sunk cost theory — companies putting so much time and investment into offshore manufacturing, surrounded by large supplier ecosystems, that it would take a lot to make a major move to the U.S. Is that also an issue? Van den Bossche: Definitely an issue. As I said, electronics is an industry where ecosystems are critical. Back in 2015, we saw a small increase in U.S. domestic manufacturing of electronics, relative to imports. As a result, when we looked at the Reshoring Index in 2016 for that industry, imports from China had declined by more than $7bn. But in 2017 there was a reversal of that trend. I think that what happened is that there wasn’t a big enough ecosystem in place in the U.S. to support increased volumes. Mind you, this was very holistically dismantled back when everything was moved to China 10-15 years ago. Tightening global capacity is another element at work in the electronics industry. We’re seeing substantial growth in component demand for mobile, industrial, automotive and, increasingly, the internet of things, which is driven by Industry 4.0 and digital manufacturing. That has consumed excess capacity at major original component manufacturers. At the same time, they’ve been cautious about expansion. They’ve had fairly slim margins, and there could always be a downturn in demand around the corner. It’s an industry that requires quite a lot of investment and capital. So producers have been going into allocation mode, whereby they move large strategic customers to the front of the waiting line for constrained components. If you’re at the back of the line, you’re out of luck. Electronics manufacturers are wary of completely rewiring their supply chains. They would have to change their suppliers, and they may find themselves at the back of the line. Q: Another argument we heard a few years back as to why we were about to see a surge of reshoring to the U.S. was the notion that companies were, for the first time, viewing their operations from the standpoint of total landed cost. As such, they were suddenly aware of all the expenses that come with extensive offshoring and long lead times. They were finding it tough to respond quickly to changes in the market. That, too, doesn’t seem to have been a big factor. Van den Bossche: It’s a factor in some industries more than in others. Strangely, apparel was one of the industries where we saw some product being reshored. Companies were seeing that if they had to order the next batch of clothing six to eight months ahead, and it was on the ocean for a number of weeks, by the time it got here the fashion wave would be over, and they’d be stuck with a whole bunch of inventory. Industries like that, having started to look at total supply-chain costs, have made some changes. At the end of the day, reshoring still results in a higher cost for the product. We’ve seen it happen with some of the more fashionable, higher-priced apparel. We’ve not seen it happen with bland white T-shirts. Q: One of the reasons behind imposition of extensive tariffs by the Trump Administration was that it was supposed to spark growth in U.S. manufacturing. Will those tariffs have an impact on reshoring decisions or not? Van den Bossche: It’s too early to tell. Manufacturing decisions about where you put steel in the ground are typically three to five years out at a very minimum. Most are even longer than that. It will very much depend on how long people think these import tariffs are going to stay in effect. In today’s world, that’s very difficult to predict. Negotiations with China have reopened, and for NAFTA there’s has been a move toward a U.S.-Mexico deal separate from Canada. There are a lot of moving pieces in play. Also, not every product is being targeted. Based on what’s going on now, and hearing what my clients are thinking about, I think it will, if anything, attract more foreign direct investment. That’s not reshoring — I’ve seen a lot of reports that confuse FDI, which is non-U.S. companies seeing a market opportunity to sell their products here and wanting to put a footprint down, versus reshoring, which is American companies that believe it’s better to put production back here from a total cost perspective. Those are two very different economic dynamics. But I do think this could attract more FDI. It’s already at a record high — in 2017, the total FDI position in the U.S. was above $4tr. It went up by $260bn from 2016. And manufacturing makes up nearly 40 percent of that increase. Long-term, I don’t think the reshoring picture is going to change by a tremendous amount. Positive economic results from 2017 and the first half of 2018 are providing some optimism for U.S. manufacturing, but it’s not from reshoring. It’s from FDI and a bunch of other factors. Q: What else needs to happen, in order for there to be significant reshoring by U.S. manufacturers? Van den Bossche: There are a couple of things that are positive. We’re still expecting a pickup in second-quarter economic growth, mostly driven by consumer purchases and the tax cut that the Trump Administration signed into law at the end of 2017. That means more demand, and maybe makes sense for companies to start making more products closer to home. At the same time, we’re seeing business spending go up a little bit. It’s projected to get a further boost from lower corporate taxes and other tax law changes, such as allowing U.S. multinationals to bring back billions of dollars that they moved offshore if they pay a one-time tax over an eight-year period. That should give them cash in the pocket to build U.S. factories, instead of continuing to supply from abroad, and create new jobs. I can’t tell you that we’ve seen that happen in a big way so far. There’s definitely some activity around new factories, but it’s as much about foreign-based companies as it is U.S. manufacturers. And there are other elements to consider. Supply chains can be fickle. Ocean freight costs could go up. Oil prices are gradually starting to creep upward again. We could see an increase that makes it less economical to bring stuff back from the Orient. There are all sorts of other [potential] disruptions: weather, social unrest, labor issues. These things could make people nervous about having product made far away from a growing domestic market. The cost of capital could go up, pushing companies to work with less inventory. On the other hand, the labor-scarcity issue won’t go away anytime soon. We’re in an over-stimulated economy, with a jobless rate that’s at its lowest point in more than a decade. I don’t think that spells a great amount of success. 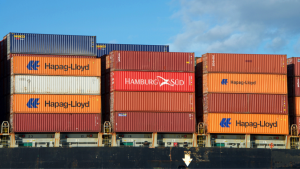 You would think the trade war between the U.S. and China would be nothing but bad for transpacific shipping; however, it may have just saved the year for carriers. Back in June, we posted a blog asking if ocean carriers are in trouble. The simple answer was yes. BlueWater Reporting estimates that the 11 largest carriers (not including the privately held Mediterranean Shipping Co.) lost nearly $10.6 billion in 2016, about $1.4 billion in 2017 and already $1.3 billion in the first quarter of this year. The US-China trade war has seemed “positive” for transpacific shipping lines, so far, with importers rushing to beat tariff deadlines. APL chief executive Nicolas Sartini believes the industry should still achieve around 5% trade growth this year. “So far it’s paradoxical, because the trade war has been rather positive for shipping companies,” he told delegates today at the TPM Asia conference in Shenzhen. “This is probably because capacity was really low in the market before peak season, as people were hesitant and afraid of the situation. “But now the peak season is very strong and the US economy is doing extremely well – for the first time the trade growth is superior to the unemployment rate which is quite remarkable. But the most important factor is that many US importers are anticipating tariff increases and are bringing cargo into the US ahead of when they would have normally. These cargo pushes, increasing demand and helping spot freight rates increase (something carriers very much needed in a year when their contracts with big shippers are actually for lower rates than they managed to negotiate the year before) have been huge in boosting carriers’ bid not to end the year in the red. Carriers, indiviually and through their vessel-sharing alliances (VSAs), have successfully balanced supply and demand in what has proven to be a volatile shipping environment marked by a US trade war with China, a spike in bunker fuel costs of $55 to $60 per TEU, and soaring truck and intermodal rail rates, all of which are contributing to higher transportation costs for retailers and manufacturers. At least in terms of managing supply, carriers and their VSAs seem intent on avoiding the rate deterioration that normally occurs in the fourth quarter when most of the holiday merchandise has been shipped and before factories in Asia begin ramping up exports in weeks leading up to the Chinese New Year, which in 2019 falls on Feb. 5. One cargo owner, who controls around 30,000 teu, told The Loadstar her company had shipped a “tremendous amount” of business early to try and avoid the tariffs – “and we’ll continue to ship even higher volumes in the run-up to the end of the year, as in our view the tariff hikes are unlikely to stop”. A run up on importing goods does mean that later when those goods would normally be imported, it will be a lean time for shipping. Not to mention that after new tariff deadlines hit, the amount of goods imported from China in general will likely decrease. However, it is hard to tell exactly how big the impact will be on importing and exporting to and from China. Many importers are applying for tariff exemptions on their import goods. Others will move their sourcing to other countries. As long as it isn’t domestic manufacturing that they find, carriers will still have the business of shipping the goods across the ocean. Expectations are that carriers will continue making strides in 2019 in managing capacity, as they’ve begun to do here at the end of 2018, moving away from the huge overcapacity problem that has plagued carriers for years, resulting in losses measured by the billions, bankruptcy, mergers, and buyouts. That doesn’t mean carriers don’t still have challenges. That statement about all the carriers going bust by MOL’s president and CEO was in reference to the upcoming sulphur cap on fuel. Rules to reduce the greenhouse gas emissions from container ships will have a major financial impact on carriers. But for right now, it looks like when the numbers are out on the final quarter of the year, those numbers will be quite good. And strangely, the U.S.-China trade war will have had a lot to do with it. Of course, I don’t think anyone would argue the trade war will be a good thing for transpacific trade overall.